Annalee Doll Description: Last one. 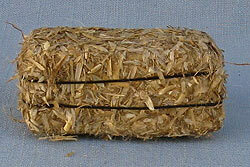 2.5" x 1" x 1" bale of hay. Perfect to display with your Halloween, Thanksgiving, Fall, Nativity, Indian and Gardening Annalee dolls.